EDINBURG — A man has been charged with murder here in connection with a deadly Monday night shooting. 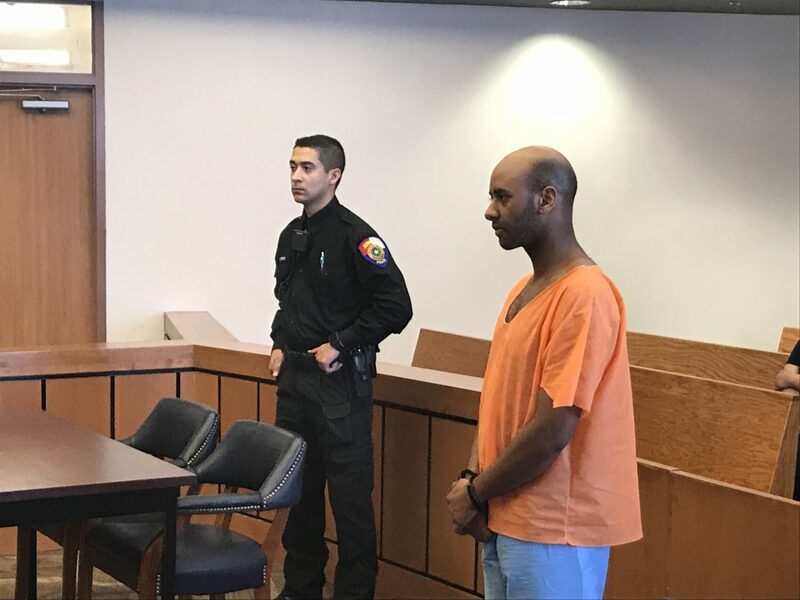 Joseph Wilson, 26, was arraigned on a first degree murder charge Wednesday and Edinburg Municipal Court Judge Toribio “Terry” Palacios set his bond at $1 million. The charge carries a possible sentence of five to 99 years in prison, or life. Police shared few details Wednesday and have yet to release the name of the 67-year-old male victim since his next of kin haven’t been notified. The shooting occurred at approximately 11:50 p.m. Monday at an apartment in the 1300 block of North Closner Boulevard, according to a probable cause affidavit. A 20-year-old female witness told police she was at the apartment with Wilson when the victim walked in, prompting an argument between the men about her presence there. The witness told police she went downstairs, at which point she heard gunshots. The female victim was also detained for questioning but no charges were filed against her. Wilson has no previous arrest history in Hidalgo County jail records and, as of press time, remained in the custody of the county jail. No attorney was present to represent him at the arraignment.